A well-designed lift looks beautiful and performs effortlessly. From Boat Lift Lifting Arm to Wheel Caddy, Bunk Boards to Cleats and Battery Trays ShoreMaster lift accessories protect your watercraft and make it easy to store it. Our diverse line of accessories fit a large range of watercraft for a customized experience. 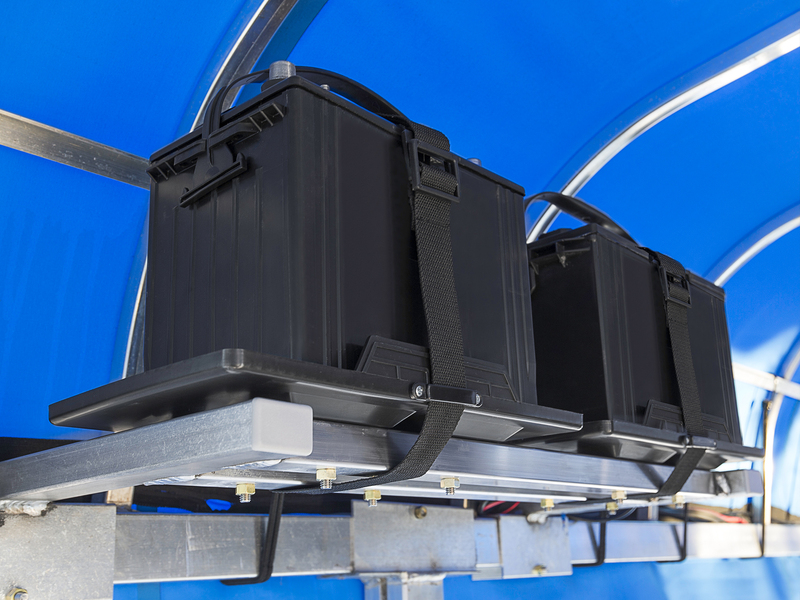 Keep your battery up and out of the way for a safe, convenient lift operation. Conveniently mounts to inside of canopy frame or on Boat Lift Leg offering a clean look while protecting the battery from the elements. Aluminum construction frame with durable plastic base, strap included for secure battery storage.